When you finally get that new RV should you buy an extended warranty? That depends. While it’s a sad truth, RVs are not the most reliable products known to mankind. Truthfully they are designed for very occasional use and there are some important maintenance items on them that most people never perform. This combination exacerbates the issues RVs already have so you’ll find plenty of places where lots of people are complaining about RV quality. Even further, an RV going down the road is sort of like a house experiencing a 4.5 magnitude earthquake during a hurricane. Seriously. So lots of stuff tends to wiggle itself loose. 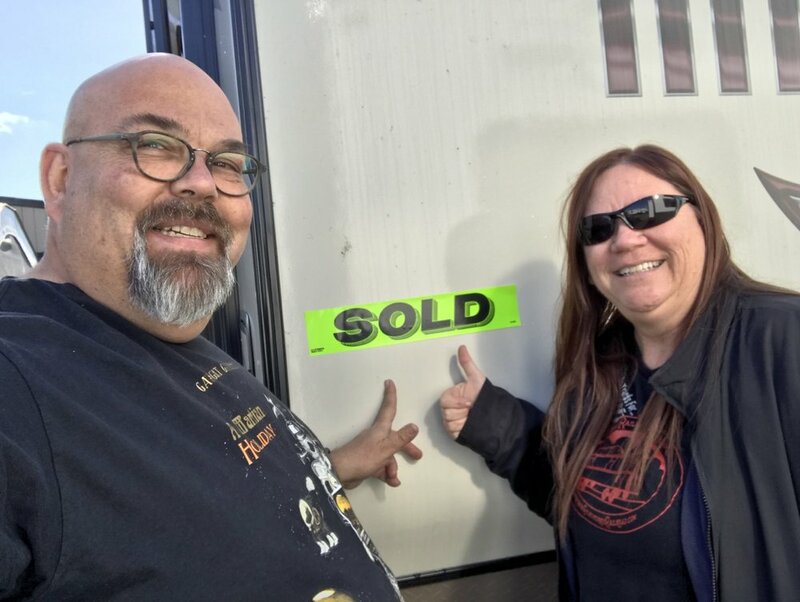 But don’t let all this dissuade you from buying that dream RV because, despite the potentially negative side, the positive side is so wonderful. Taking your own little home away from home with you on vacation and having all the things you’re familiar with, sometimes in remote and absolutely stunning locations, is incomparable. That night at the Holiday Inn will never compare to waking up and seeing deer out the window as you brew your morning coffee or being parked right under a magnificent tree with nobody else around. We absolutely feel that RVing is the best way to vacation, period. In fact we wrote an article about it! And RVers are some of the nicest people we’ve ever met and you get to hang out with them. So back to the warranties. Here is a rough rule of thumb for warranties. Most extended warranties are 5-10 years in length. A warranty is a gamble - you’re buying it and gambling that something expensive will break and the warranty company is selling it to you hoping nothing expensive breaks. The warranty business is a profitable one, so they win more than you. However, if your budget doesn’t allow for replacing a $1700 refrigerator or a $900 air conditioner or a $1200 water heater, a warranty can be a very good bit of peace of mind for you. RVs are comprised of a number of very expensive systems, as mentioned above, that also undergo the shake, rattle and roll that is travel. If one of these systems breaks and it’s not in your budget to fix it, you may be doing without. At the dealership where I work we have replaced all these mentioned systems under warranty for customers and the warranty company simply gives us a credit card number and we solve the problem. More common issues involve plumbing problems, and the damage they cause when there’s a leak, unless covered by the warranty, can be expensive. So the decision to buy a warranty might depend on your own financial reserves and what an expensive repair would mean in your reality. If paying a few dollars a month is a more comfortable situation than having to come up with the money to cover a big repair bill, then an extended warranty might mean a great deal of peace of mind. One thing to know - no warranty covers things like brakes, seals, gaskets and items that are considered normal maintenance items. We do see a lot of RVs that have water damage from leaking roof seals or window seals and, frankly, those are part of the routine maintenance that most RV owners never do. You will go a long way toward extending the life of your RV if you simply inspect the seals on the unit every 3-6 months or so. This includes the seals around all the various holes in the roof (for vents, pipes, etc.) along with the seals around the windows and doors on your RV (don’t forget the baggage doors!) as well as the marker lights. Anywhere a hole is punched in your RV is a place where water can get in and cause damage and none of these seals is covered under any warranty as they are all considered a maintenance item. Proper maintenance, especially when it comes to seals, goes a long way toward extending the life of any RV. So how do you choose a great extended warranty company? One of the ways is with the policy they give you. There are two major types of policies - those that specifically mention what they do cover and those that mention what they do not cover. While this may be counterintuitive, the warranties that mention what they do not cover are often better simply because you know what won’t be covered so everything else basically is. Those warranties that do mention what they cover often can weasel out of coverage by claiming a non-covered item is the real cause of your troubles rather than just fixing what went wrong. You might ask around at various shops and repair places for RVs both in your area and just at random to see if one particular warranty company stands out as really good or really not. Does brand X warranty company work hard to get out of paying while brand Y just takes care of the customer? The people who are making the claims, the repair shops, are the ones who would have insight on this. The obvious answer to this would be to buy the warranty at the time of purchase of your RV. If you’re financing the RV most dealerships can simply roll the warranty into the financing so it’s a small “hit” every month. However there are also companies that sell warranties aftermarket, many of which offer lower prices than what a dealer might charge. The disadvantage here is that you’ll be buying the whole warranty at once rather than being able to roll it into the financing of your RV. The advantage is that you have time to shop around and may save many hundreds of dollars. Having an extended warranty can mean a great deal of peace of mind. Having an RV is really a joy, in most cases, and an extended warranty can mean you have one fewer thing to worry about when it comes to your RV. No matter what you decide is right for you, making sure that your RV is well maintained will go a very, very long way toward making sure it’s ready and willing to be a participant in the incredible vacation adventures we have in this beautiful country. Basic maintenance means you’re much more likely to enjoy StressLess Camping.